I don’t know about you all, but I grew up getting new pajamas for Christmas and it is still one of my favorite gifts to receive. As a child, we had a PJ party with family friends where we played games and ate breakfast for dinner. Now, we receive our pajamas on Christmas Eve. I look forward to it every year! You can imagine how excited I was for this collection to come right in time for the holidays! These designs, created by That’s What Che Said, are truly for the entire family and I absolutely love the clever phrases she used! One of the things I love about these designs is the different Iron-On materials she used to make each shirt unique while using the same colors. Between EveryDay Iron-On with Strong BondTM Guarantee to Glitter Iron-on to Holographic Sparkle Iron-on, there are so many ways to make these shirts unique for each family member! As you are working on these projects, make sure to check out our guide on What to Know About Different Types of Cricut Iron-on Materials. 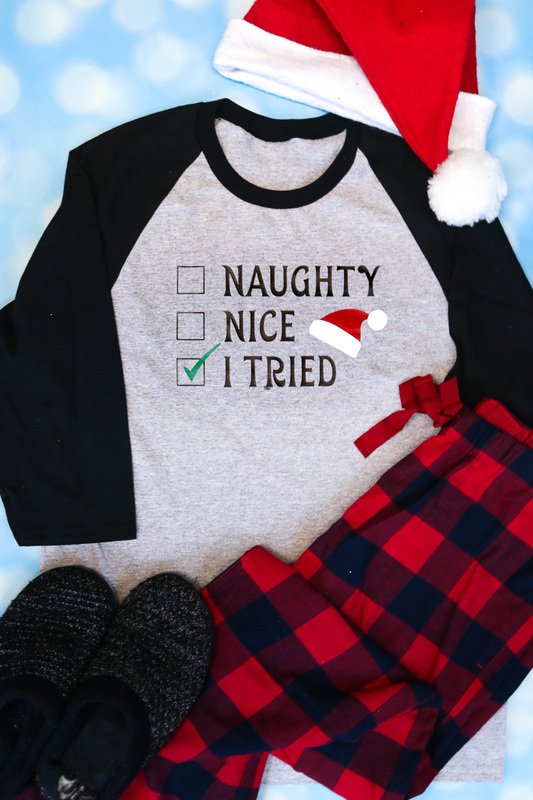 Dear Santa, I can explain… this shirt is so clever and let’s be honest, so relatable! 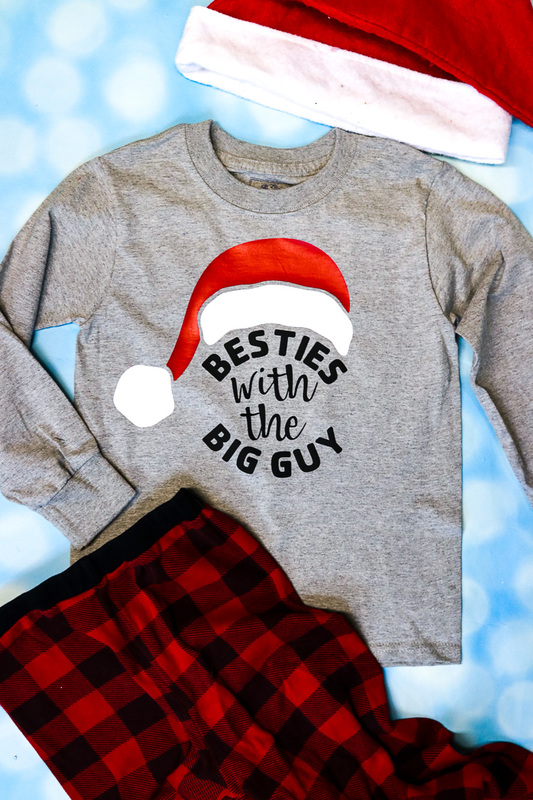 Besties with the big guy… I love this! I can already picture a dad wearing this with the whole family! I love this design and clever phrase. How funny is this Santa checklist? I seriously can’t get over how clever all these designs are! We all know that child or sibling that...well...tried. Dear Santa, my brother did it! Raise your hand if you have blamed a sibling on something… apologies to any siblings I have reading this! You can definitely change this design to say sister. I also thought it would be cute to blame a dog! A play on the good ole’ my dog ate my homework excuse. 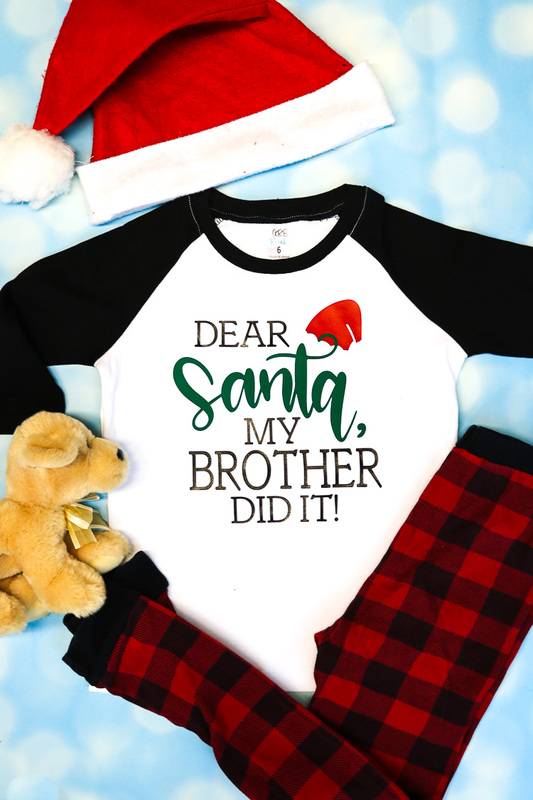 Click here to create: Dear Santa, my sibling did it! Last but not least, jolly like the big guy! We all need this shirt for the sweetie in our lives! The happy go lucky family member that always seems to have a smile on their face. 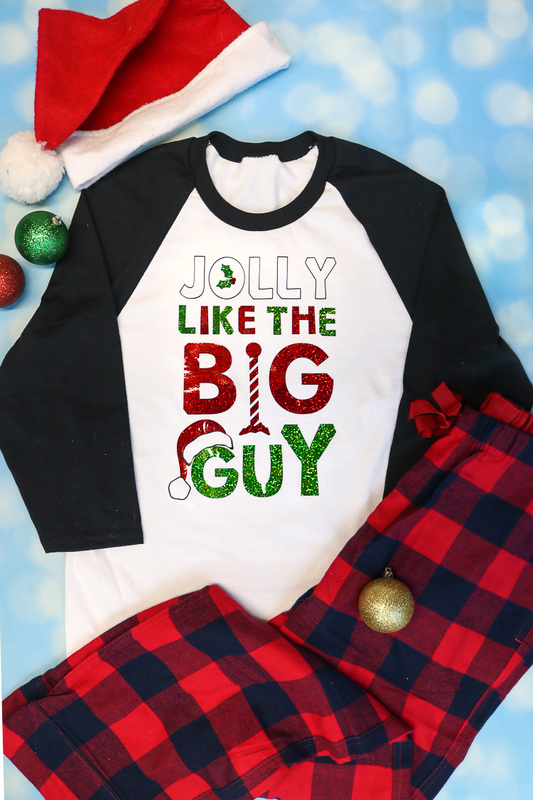 With all the mischief in the other shirts, the jolly family member deserves to be recognized! As you are making these awesome designs, make sure you take a look at our Cricut EasyPress™Interactive Quick Reference Guide. This guide makes projects so easy and lays out a step by step guide for you! As always, If you have additional questions about iron-on, please visit our FAQ Page or reach out to Cricut Member Care at cricut.com/contact-us. These are all so fun! I think everyone is getting Christmas pjs this year! Can I use this program with my chrome book? Hi. Unfortunately, Design Space will not work with a Chromebook.